We are delighted to announce that the Clarendon Fund has now opened up to all graduate applicants regardless of nationality. From 1 September 2011, all graduate applicants to degree-bearing courses for 2012/13 entry will be eligible for this prestigious scholarship funding which has, up until now, only been open to candidates with overseas fee status. By applying for graduate study at Oxford University (Application Form for Graduate Study) you will automatically be considered for a Clarendon Scholarship. You do not need to submit any additional documents specifically for the Clarendon Scholarships and there is no separate scholarship application form. materials (unless the department you are applying to has specifically requested this in support of your application for admission to Oxford). The closing date for Graduate Admissions for 2012/13 is Friday 20 January 2012. 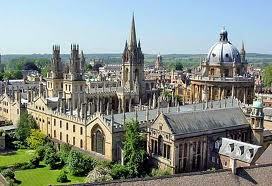 Demikianlah informasi Clarendon Fund at University of Oxford kami sampaikan, semoga bermanfaat.